Who doesn’t want their dog to be healthy and free from all kind vicious and harmful diseases? Pet parents really strive hard that their furry pal is well shielded against the dangerous health conditions especially the heartworm disease. This infection not only disrupts the normal life of your pet but when taken for the treatment can push the pet in the abyss of fatality leading to dire consequences due to the complexity of the treatment. Therefore, vets usually prefer and advice pet parents to go with monthly heartworm preventatives. 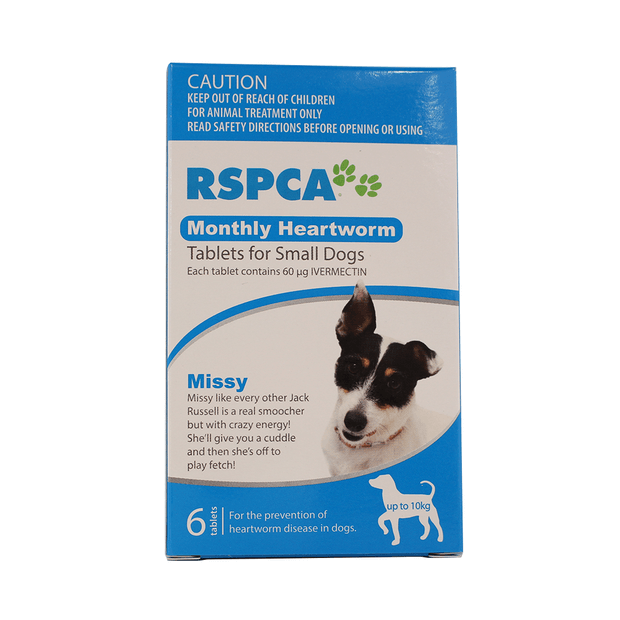 And one of the most effective and highly protective heartworm preventive that they usually recommend is RSPCA tablet. The oral treatment has the mettle to overthrow any possibility of heartworm infection, not sparing even a minute one. Designed by IndyVet, especially for dogs, it dwindles the risk of heartworm disease and ensures that the dog is well protected when given monthly, without any gaps. So, let’s find why RSPCA Heartworm Preventive is the best option for your furry pal. Heartworm is a dangerous disease. The heartworms live in your dog’s heart and physically damage it. Moreover, they clog the blood vessels leading to failure of heart functioning. At worst, there are almost no signs of heartworms until cardiac arrest. RSPCA – heartworm preventive eliminates an immature form of heartworms and controls heartworm infection. The regular treatment provides complete protection leaving no gap for the transfer of heartworm infection through mosquito bites. Not only the heartworm disease is dangerous and highly fatal but also the treatment for dogs can be quite complicated (with a high level of risk involved) and expensive. Therefore, prevention is the only reliable resource. And, RSPCA is an effective option. Get RSPCA Heartworm Treatment Here | Free Shipping! This heartworm tablet is specifically designed for easy administration. It has to be given orally. You can either crush it and mix it with food or administer it directly into the mouth like other normal tablets. As it does not have any odd flavor, it is highly palatable and your dog readily accepts it without any fuss. A single dose works for one whole month protecting your dog against heartworm infection. The huge vet bill surely adds burden to the budget. A well-planned pet health program will not only help you cut down on the number of vet visits but also diminishes the sufferings your pet may face due to heartworms. A monthly RSPCA heartwormer along with preventive flea and tick treatment, given regularly to your healthy pet will help protect him from the most common and dangerous heartworm health problem. This heartwormer provides a wide range of safety margin. It has no ill effects on your pooch. RSPCA has been approved for the safe use in dogs and puppies above 6 weeks of age. With no known contraindication of using this oral heartworm preventive, it is safe to use in your dog. In a nutshell, RSPCA is an excellent heartworm preventive with a myriad of benefits for both you and your pet. Not just saving the emergency vet bills, RSPCA ensures that your furry friend does not pass through the turmoil of severe health conditions due to heartworm disease. Therefore, just stick to the regular program of RSPCA heartworm preventive and don’t miss one. You may also like to read Five Trending Heartworm Treatments in 2019. NEXT POST Next post: Do You Know Dogs Can See Colors?